Released in April 2018, this weBoost booster kit primarily targets stationary RVers in remote locations. 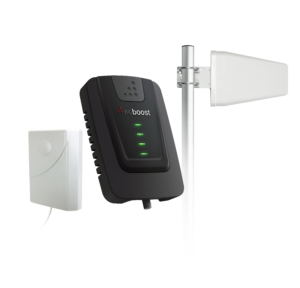 The three core components of the kit: indoor panel antenna, 4G-X booster, and outdoor direction antenna. 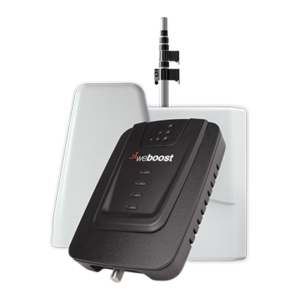 The kit is based on weBoost Connect home booster with a rated 65 dB gain, well above the 50 dB gain legally allowed for mobile boosters. The kit avoids needing to comply with the mobile gain limitations because it is not suitable for use while in motion. Instead - the directional wideband external antenna included requires aiming and set up at each stop. 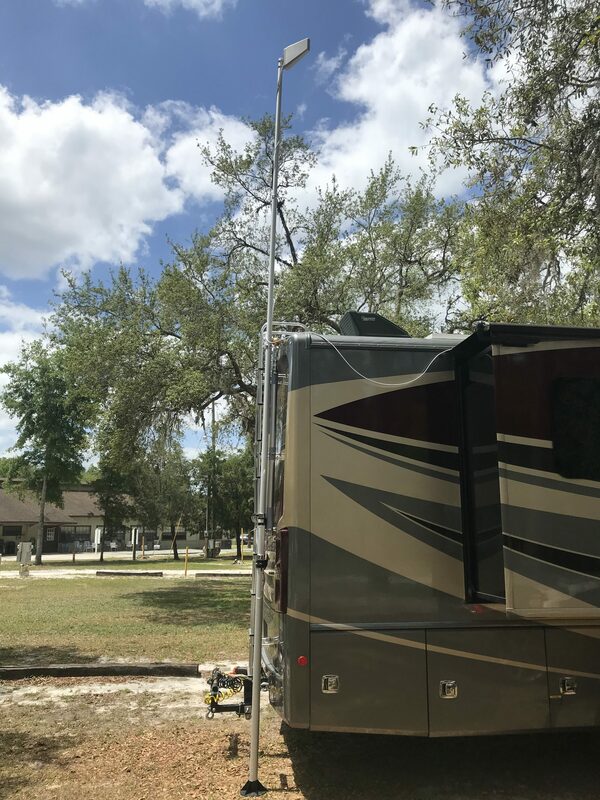 Included in the kit is a telescoping pole which allows the outside antenna to get above local clutter for a better direct line of sight to the nearest cell tower. weBoost sent us an evaluation unit, and we spent May & June testing in the field. We have now wrapped up our field testing and our full review, testing summaries and comparisons are available below to members. The RV-65 is a solid performer but is not always the right solution in all signal situations. If you frequently park your RV in very remote locations for extended periods of time and need more gain in your cellular boosting arsenal, then this kit could well worth the extra expense and setup time. For those who move frequently, vary their stays or stay in less remote locations - then this booster does not make a lot of sense as an all-around option to have onboard. 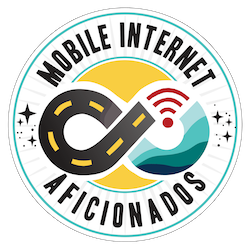 A mobile booster (such as the 4G-X or 4G-M) and/or MIMO antennas will be more suitable.